October is only two months away and we are starting to see Halloween merchandise trickle into stores. Spirit Halloween has slowly been unveiling their lineup for 2018 and it looks to be even bigger and better than 2017. From killer clowns to memorable movie characters Spirit Halloween has something for everyone. We decided to rank the top ten but wound up doing the top 15 and broke them down in case you needed help deciding which props you wanted to add to your collection. When I first saw Lost Her Way I wasn’t impressed. I thought it was a silly prop that would only work on flat surfaces. Since I have carpet in my living room I discounted right away because she wouldn’t be able to get around very well. Well, as I was showing my wife all the new props from Spirit Halloween I showed her Lost Her Way in passing and quickly moved onto a cooler prop. My wife stopped me immediately and said, “Go back!What’s that?” Turns out Lost Her Way was her favorite prop this year. It just goes to show you that people like different things and that’s why Spirit Halloween puts out so many different props. They need to appeal to a lot of different people. The Looming Strawman is a menacing looking prop but I’m not that high on him. 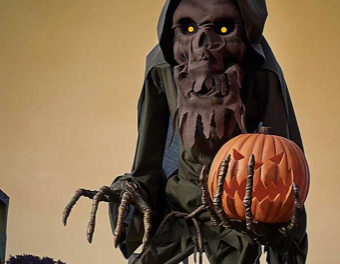 I think the animatronic scarecrow would work fine in a garden if you did something outside but I think it is a niche prop that doesn’t appeal to your average haunter. The Flying Vultre, like the Looming Strawman is a niche prop. I don’t see many people putting him inside their home. I think he’s a good value at $79.99 but don’t think it’s the best prop Spirit Halloween has done this year. Man’s Possessed Best Friend is a prop that you are going to love or hate. I’d rate it a little higher but I know some dog lovers may be turned off by a possessed dog that wants to bite them. 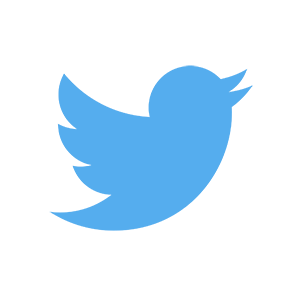 I think it’s really creative and is a step outside of the box that could be a home run this year. If I was rating Halloween props based on their ability to scare people wouldn’t even be on the list. I’m not a Nightmare Before Christmas fan but I understand her appeal, especially since Spirit Halloween released Jack Skellington last year. Sally is a niche props that will be wildly popular among fans of the Tim Burton film and dismissed by those who never saw the film or aren’t a fan. The Cocooned Corpse prop looks a little hokey when you see it on Youtube. I saw it up close and was really impressed with how large it is. It really looks like a spider got ahold of a person and is waiting to eat them. This is a very underrated prop, especially if you have a large spider prop to go with it. These two props are one in the same and don’t do much for me. Like the Looming Strawman these animated props belong in a garden or somewhere outside to be effective. I think they will be popular due to the fact that they are large creepy props but I don’t think they are right for my haunt this year. Child’s Play is a cult classic and Chucky is an icon in the horror genre. I think this prop will be wildly popular this year and I wouldn’t be surprised to see Spirit Halloween sell out of him early this year. Like Lost Her Way the other prop that rolls around Chucky isn’t going to work very well on carpet. But I don’t think that will deter many people from picking him up this year. 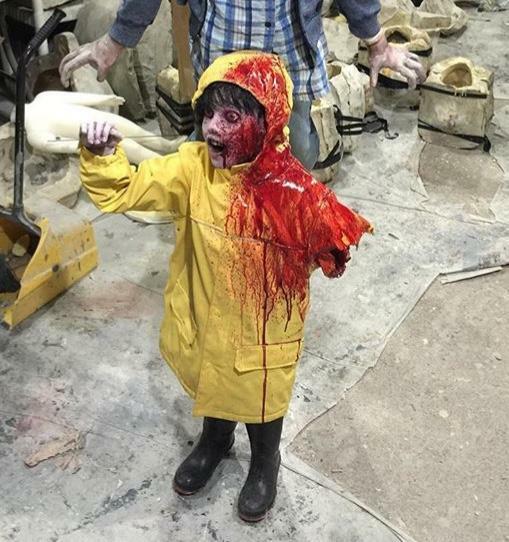 Everyone loves zombies and despite how popular the genre is we don’t see a lot of zombie props at Halloween time. I like the fact that Spirit Halloween saw that and made a quality prop that is operated by remote control. Your old Aunt Myrtle is going to freak out when she sees a zombie crawling her way this October. Sweet Dream really is a cool prop. Had he been released last year Sweet Dreams would’ve been the top prop last year. In 2017 Spirit Halloween put out the 7′ Evil Clown that sold out in three weeks. Once “It” came out at the movie theater Spirit Halloween was struggling to keep up with the demand. This year they have Sweet Dreams and he’s like the 7′ Evil Clown on steroids. If you really want this prop don’t wait around. Spirit Halloween ran out early and I imagine that could happen again in 2018. I’ve made it pretty clear I’m not a fan of scarecrow props but the Burlap Horror Scarecrow redefines the genre. Sure, he is a scarecrow but he’s so much more. He’s part alien, part monster, part scarecrow and 100% terrifying. 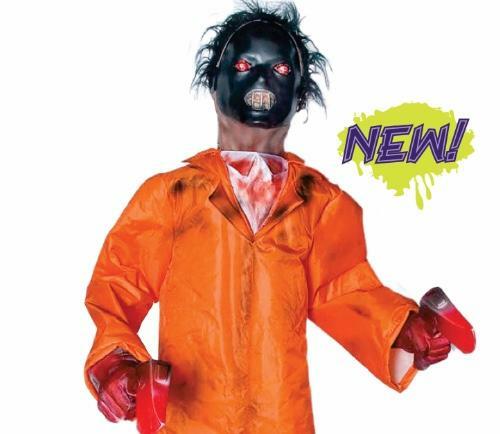 It’s good to see Spirit Halloween bringing back a beloved Halloween icon like Michael Myers for 2018. Like others on this list I can see Spirit Halloween running out of the Michael Myers prop before we even get to October. If you want Michael Myers for your haunt, don’t wait around. If I have to be honest Double Trouble is probably my favorite new prop at Spirit Halloween this year. There’s just something about a creepy kid but when you add another creepy kid who looks just like the other one, look out. Double Trouble will be making an appearance at Halloween party this year for sure. If Double Trouble is my favorite Spirit Halloween prop Hugz is a very close second this year. 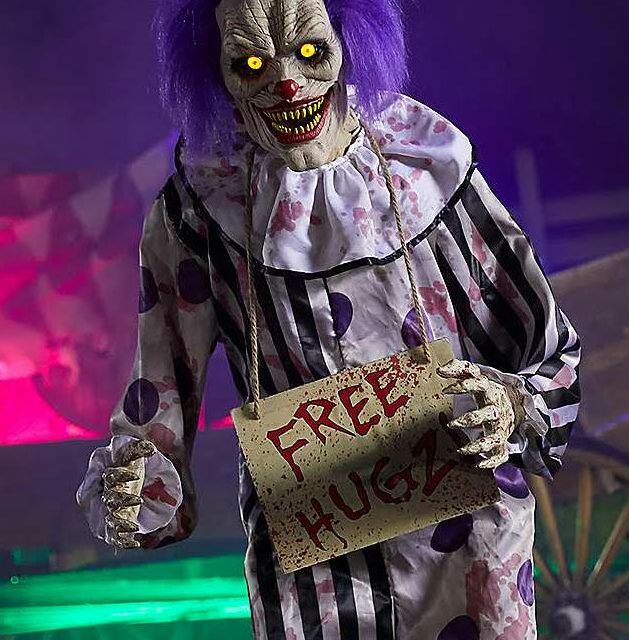 There’s just something about a clown that wants to give you a hug that makes me feel all warm inside. And when I say warm inside, I mean very, very afraid. Spoiler alert: Hugz will also be making an appearance at my Halloween party this year. I don’t really classify the Winter Dragon as a Halloween party. This is a prop that deserves it’s own room in your house to be left up year round. You can even put a Santa hat on his head and set him the Christmas tree when it’s time to put away your Halloween decorations. Seriously, the Winter Dragon is that darn cool. The only drawback is the price point. But if you have the money I think Winter Dragon is definitely worth it just for the “Oohs” and Ahhs” you will get from your friends and family at your Halloween party. 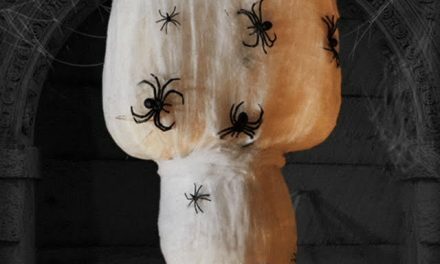 There you go the definitive list of the Top 15 Halloween props from Spirit Halloween in 2018. PreviousWhen Will Spirit Halloween Stores Open in 2018?